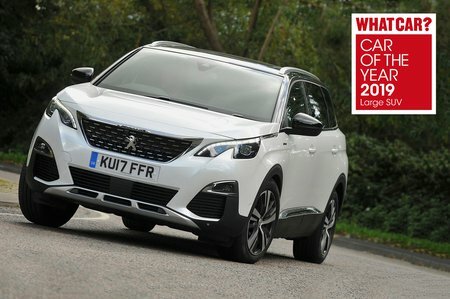 Peugeot 5008 Active Review and Deals 2019 | What Car? Entry-level Active comes with all-round electric windows, dual-zone climate control, rear parking sensors, 17in alloy wheels, auto lights and wipers, a height-adjustable driver’s seat, cruise control, seven seats and an 8.0in infotainment screen with DAB radio, Bluetooth and Apple CarPlay and Android Auto smartphone mirroring. You also get a 12.3in screen containing configurable digital instruments. On the safety side, it comes with automatic emergency braking, speed limit display and lane departure warning. That’s not bad, but we’d still suggest the next model up.